Screenshot from a Shabaab video released in March. The jihadist shown above is suspected of being Briton Thomas Evans. Al Shabaab, al Qaeda’s official branch in Somalia, claims to have ambushed and killed more than 60 Ethiopian troops in southern Somalia last week. The claim has not yet been independently confirmed by the African Union Mission in Somalia (AMISOM), and the Ethiopian government has yet to release a statement about the attack. The statement from Shabaab’s media office, which has been translated by the SITE Intelligence Group, says that the “highly successful ambush carried out by a company of Mujahideen fighters from the ‘Sheikh Abu Zubayr Battalion’ began on Thursday (June 11) afternoon.” The battalion identified in the statement is named after the former emir of Al Shabaab, who was killed in a US drone strike last year. Photos released by the jihadist group, many of which are too graphic to be published by The Long War Journal, show several burning vehicles, dozens of captured weapons, and the bodies of many Ethiopian troops. It was also reported that Shabaab closed the main road between Mogadishu, the Somali capital, and Baidoa, where these attacks took place. A Shabaab official reportedly told Reuters that its forces “made the road impassable.” In doing so, the jihadists blocked any aid or extra reinforcements from reaching the area. The attack on Ethiopian troops took place days before the al Qaeda branch attacked a Kenyan military base near the Somali border. The assault was repulsed and 11 militants were killed. One fighter who was killed was identified as British national Thomas Evans. Evans, who went by Abdul Hakim, originally said that he had joined the jihadist group back in 2012, according to his mother. According to the BBC, “at least 50 British citizens are believed to have joined al Shabaab.” Kenyan authorities have also issued a $100,000 reward for the capture of a German national. The German, Andreas Martin Muller, is also said to have taken part in the attack on the Kenyan military base. 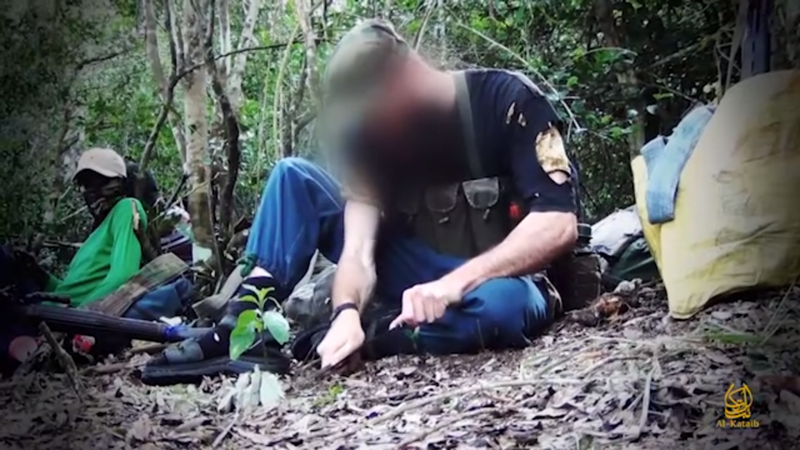 Caucasian fighters in the jihadist group have been increasingly featured in recent Shabaab propaganda from Kenya. In a video released in March showing the 2014 Mpeketoni attack in Kenya, several can be seen throughout the footage. In another released earlier this month, the same jihadists can be seen again in one scene of the video. Thomas Evans is thought to have been featured in one or both of these releases. While the current media focus is on the Islamic State’s spectacular gains in both Iraq and Syria, Shabaab and its predecessor, the Islamic Courts Union, have controlled extensive areas of Somalia, including major cities, several times since 2006. Even today, Shabaab controls large portions of the countryside in southern and central Somalia, and still runs some towns and cities. An African Union offensive by forces from Uganda, Burundi, Ethiopia, and Kenya has managed to drive Shabaab from the major cities of Mogadishu and Kismayo, but four years after the start of that operation and another last year, Shabaab still controls vast portions of the country. Shabaab also retains the ability to mount attacks in Somalia and neighboring countries. In February, Shabaab was able to penetrate security in a heavily guarded area of Mogadishu and kill several members of the Somali government in a suicide assault. In April, the jihadist group killed 147 people in an attack on a university in northeastern Kenya, which followed the deadly Westgate mall attack in 2013. Last year, the jihadist group was also able to mount a suicide attack in Djibouti, which killed one Turkish national. Initially I thought that the African Forces opposing Shabaab would really do some major damage to their Organization but obviously that hasn’t materialized. If there was ever a place for the US to put some troops on the ground & help some people willing to commit their own Forces this area is a good candidate. Also Somalia should have been divided up into separate Countries years ago. Makes one wonder if they are are courting IS or they are just learning the same lessons IS learned while still staying loyal to AQ. Well we’ll know in a few months. Is there statistic on how many of the westerns that have joined al Shabaab, are legally in the countries they come from? It is all a lie. Those troops from another African country not Ethiopian troops.